SalesTech Simplified: Why Does the Industry Need Your Solution? Sales tech decision makers suffer from information overload and have to wade through a lot of marketing hype. It doesn’t take long for decision fatigue to kick in. That’s why Smart Selling Tools publishes free resources to reduce those frustrations and cut through all the noise. Throughout 2017, Smart Selling Tools interviewed leaders of 26 top sales solution providers asking the same questions of each of them. 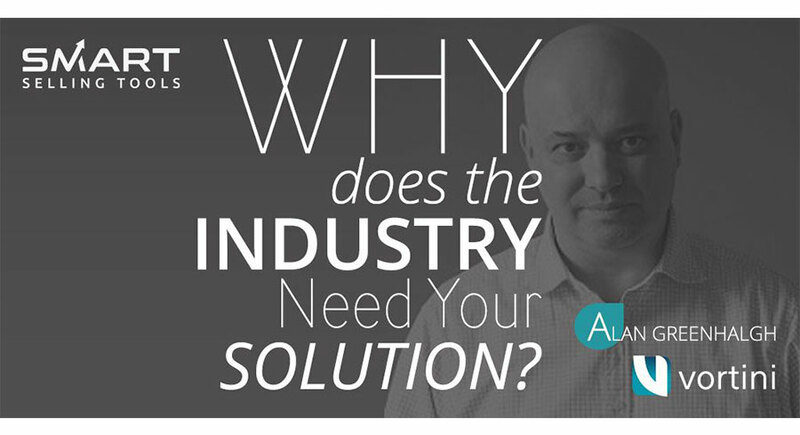 “Why?” Why does the industry need your solution? Why should I care? Why should I buy your product? Why would someone need your solution? Read how Vortini’s Alan Greenhalgh answers these questions, and read the full interview on the blog. Download your free copy of the Magazine here and see which solutions answer YOUR “why”.